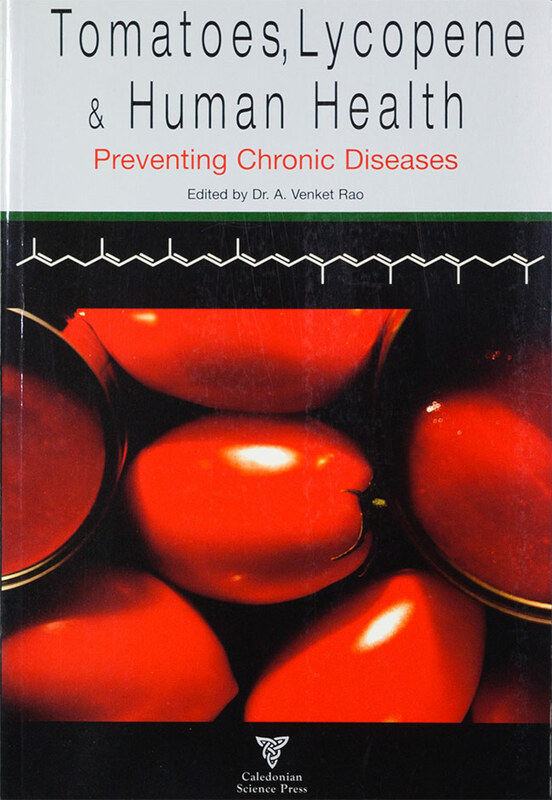 Tomatoes, Lycopene and Human Health – Preventing Chronic Diseases – is edited by Dr. Venket Rao, Professor Emeritus in the Department of Nutritional Sciences at Toronto University. Although it is written primarily for a scientific audience, lay readers will find its many insights accessible. Tomato products store health-giving compounds, most of which – lycopene, for instance – have been known to science for years. It is only recently, however, that research has focussed on how these different compounds might work together. Lycopene’s qualities are startling. For instance, researchers now know that in the presence of vitamin C, this antioxidant can repair both itself and other antioxidants to restore their antioxidant qualities. Two dozen of the world’s leading nutritional specialists have assembled and reviewed the most recent findings in 13 areas of research in a single volume with three overview chapters. The result is a broad, yet increasingly detailed picture of the inner workings of a dietary wonder. If we look at the tomato, with its wealth of secondary bioactive compounds, we see the possiblities of synergy that have been exploited by Mother Nature, in ways we do not yet understand fully. These are the insights that have been elegantly described in this book and which will continue to unfold in years to come. Industrial readers are catered for too, with chapters written by experienced industrial scientists. The contents of the book address the interests and needs of scientists, health professionals, the food industry and government agencies.